So this isn’t a style post, but I just experienced my first Mardi Gras and couldn’t have had a better time! Going to school in New Orleans, Mardi Gras is something I have been hearing about for the past couple of months, and I wasn’t exactly sure what to expect. At home, when we celebrated Fat Tuesday, it lasted only one day. Here, however, the celebrations last well over a week. I got to see so many beautiful floats and catch a bunch of beads (they become a hot commodity during the Mardi season!) My personal favorite part of the week was getting to dress up in completely crazy outfits. Everything goes–tutus, sequin leggings, crowns, the whole lot! 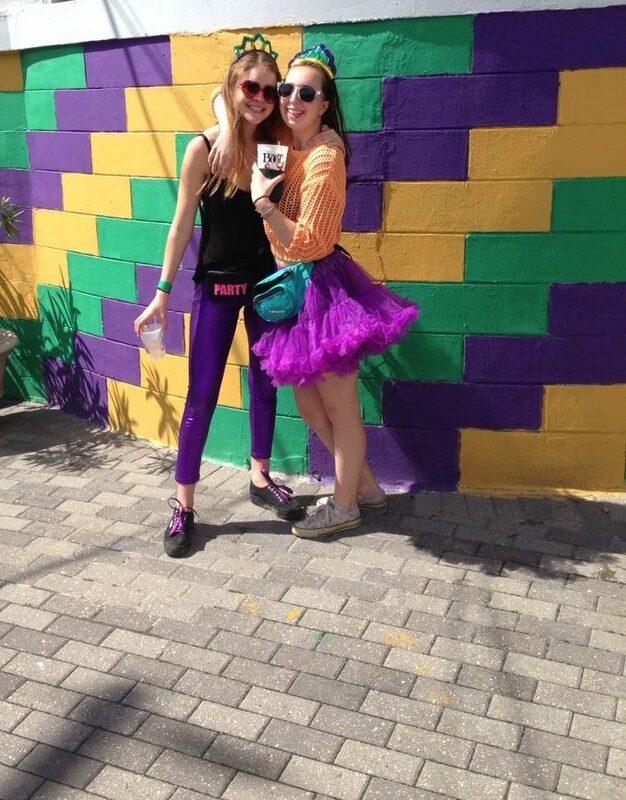 I never thought I would be standing in public wearing a giant purple tutu and neon orange sweater, but there I was! Overall, it was an awesome experience, and I encourage anyone who has the chance to witness it at least once. Now that that’s all over, I will resume posting as usual. Whew! Enjoy the rest of your Wednesday everyone!